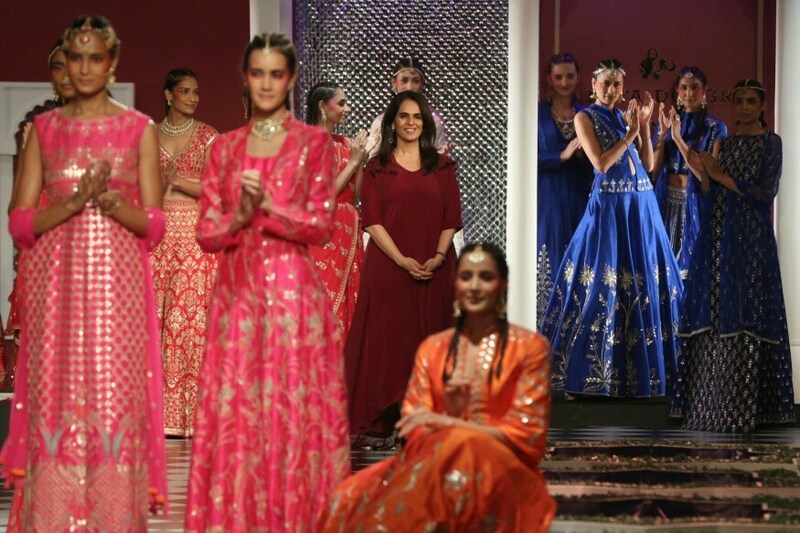 With the 18th year of Lakme Fashion Week, the hopes pinned are high and the expectations even higher. Nothing can ever be compared to the thirst of fashionistas! They want their wardrobes to be filled with new, the best and the trendiest outfits. And at their service are the fashion weeks which bring them a whole lineup of modish trends and styles on the runway. With the 18th year of Lakme Fashion Week, the hopes pinned are high and the expectations even higher. To be held at Jio Gardens, Mumbai, the 5-day extravaganza brings together eminent designers, exquisite designs and exotic collections for the summer resort. As fashionistas gear up for one of the most-coveted fashion weeks of our country, we bring you some of the highlights to look forward to this year. Whether they’re popular or lesser known, LFW gives a chance to every designer to present their wide-ranged collection. The likes of Anita Dongre, Tarun Tahiliani, Ritu Kumar, Narendra Kumar, Rajesh Pratap Singh, Abraham & Thakore, Aneeth Arora, Falguni Shane Peacock, and Payal Singhal will showcase their collection from February 1 – 5. As an attempt to integrate fashion and education, LFW like every year, has a special Gen Next show. Many a young crop of actors will get a chance to bring their creative ideas to life. Some of the labels making their debut are Ishanee Mukherjee and Anirudh Chawla’s Poochki’, Nakita Singh, Resham Karamchandani and Sanya Suri’s ‘The Pot Plant', Pallavi Singh’s ‘Arcvsh, Nakita Singh and Soumodeep Dutta. 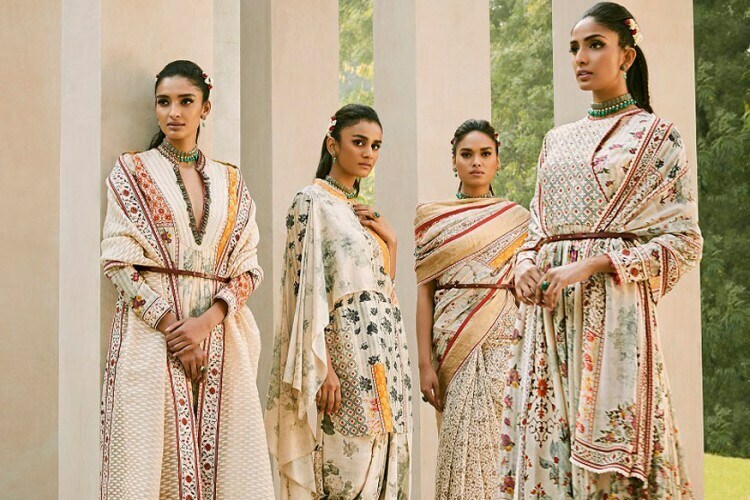 What’s known about Anita Dongre’s finale is that it boasts a couture collection so versatile that it’s enough to “transcend people, occasions, and places”. The collection is based on the theme ‘Liquid Gold’ - Lakme’s beauty statement of this season. 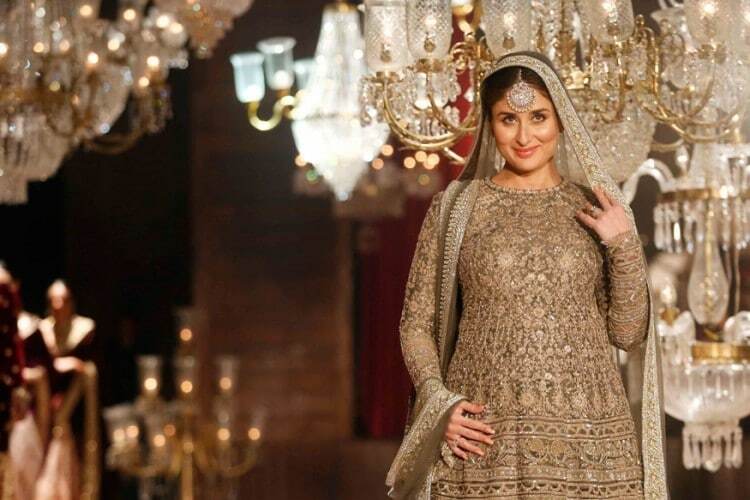 Dongre has always amused people from all walks of life with her fusion of silhouettes, styles and designs and this time it’s the ever-stylish Kareena Kapoor Khan turning the showstopper for Dongre’s much-anticipated show. LFW is the event where a host of stars come together - some turn showstoppers, some grace the front row, some turn up just for fun and to extend support to their favourite designers. The lineup of showstoppers, known so far, is absolutely alluring. Kareena Kapoor Khan for Anita Dongre, Diana Penty for Payal Singhal, Padma Lakshmi for Tarun Tahiliani and Sophie Chodhry for Abha Chaudhary. A lot of other designers have decided to keep the name of showstoppers under wrap for now. Apart from 50 fresh faces who’ve been shortlisted, some others have already created a buzz much before the extravaganza is about to begin. Anjali Lama - Nepal’s first transgender model, Petr Nitka - the first gender neutral model and Varsha Thapa – international supermodel will walk the ramp for eminent designers. In another special initiative, girls rehabilitated from Mumbai's red light areas will also take to the runway for designer Mandeep Negi. Another show, #TagFree, will bring together plus-size women from all walks of life to break them free from the set stereotypical perceptions about their body shape. Designers like Rajesh Pratap Singh, Abraham and Thakore, Naushad Ali, Aneeth Arora, Soham Dave along with 9 artisans will weave the magic of Kutch traditions in this edition of LFW. They’ll showcase Ajrakh prints, Bandhani, Rabari and Suf embroidered saris and ensembles as a part of this show. Chaman Siju’s collection aims to bring alive the Holi of Kutch with the use of bright colours, motifs and geometric patterns while artisans representing Somaiya Kala Vidya have chosen their own themes – some depict ‘Kutch villages’, some have chosen architecture, still others will showcase the ethereal beauty of morning fog. The primary focus of Shrujan will be the Mutwas and the Meghwaad Maarus embroideries. Other designers Sufiyan & Lisa will present the vintage style fabrics in the show based on ‘Flamingos’ theme. Not a lot of people like to look through the glamorous side of fashion – but once they do – they appreciate the thoughts put into creating the final designs. To acknowledge some conceptual themes such as sustainability and art, emerging designers will have models stuttering down the ramp in their creations. Gaurav Khanijo, Sohaya Misra, Paridhi Jaipuria, Naushad Ali, Mandeep Nagi, Sanjukta Dutta, Dev R Nil and Sanjukta Dutta will participate with their artistic initiatives.